The PS4 is arriving on November 15 in the US and November 29 elsewhere, but Microsoft still hasn't spilled the beans on when we'll get our hands on the Xbox One. But if you delay these sorts of things then cats will exit bags by other means: a retailer source may have just outed the Xbox One release as November 8. It goes without saying that this isn't definite confirmation - the source works for a marketing company that deals directly with US retailer Walmart and the evidence seems to be an emailed agenda regarding some planned midnight launches. This could be tentatively set by Walmart rather than Microsoft as the email doesn't show a "confirmed" label by the date, which it has with the others on the list. But this could mean that Microsoft's lack of a Gamescom release announcement was because it planned to slip in ahead of Sony. Those crafty rascals. 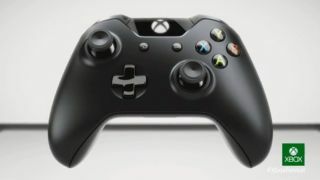 Microsoft is refusing to confirm either way, with a spokesperson telling TechRadar: "We look forward to launching Xbox One in 13 markets around the world in November this year. We have no other details to share at this time." Well, at least we know it's sticking to that November plan. Hold tight, people - it's not long now. We've recently updated our PS4. It's getting better to be an owner.